Rajya Sabha is likely to pass the Constitution (120th Amendment) Bill, 2013 and the Judicial Appointments Commission Bill, 2013 today. Once the Rajya Sabha passes the Judicial Appointments bill, it will go to Lok Sabha for discussion. 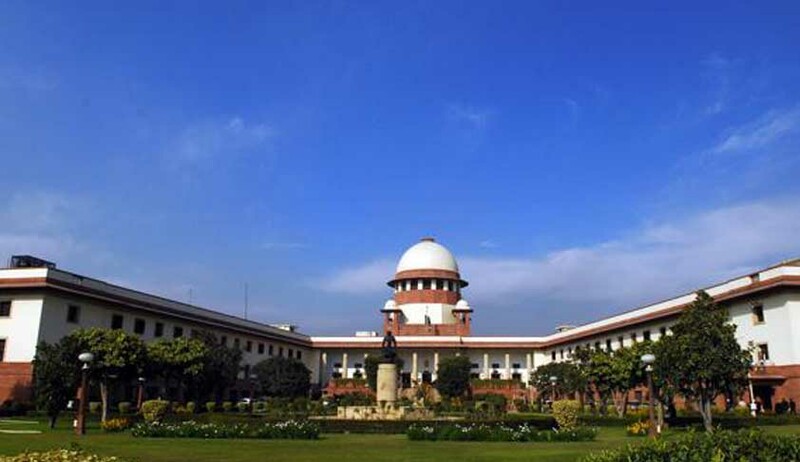 The Judicial Appointments Commission (JAC) moots new and expanded collegium in appointment process for judges of High Courts and the Supreme Court, thereby giving a say to the executive. The JAC will find a place in the Constitution by way of Constitution (120th Amendment) Bill, 2013. The appointment and transfer of judges of the Supreme Court and all the 24 high courts shall be on the basis of recommendation of JAC. The commission will be presided over by the Chief Justice of India, and will include two Supreme Court judges. The non- judges in the collegium will be the Law Minister, two eminent persons, and the Justice Secretary (who will be the Member-Secretary). The Leader of the Opposition in either House will be part of a committee which nominates the eminent persons, the other members being the Prime Minister and the Chief Justice. An earlier proposal had submitted the view that the Leader of the Opposition should be made a member of the JAC. However, the current Bill states that the Leader of the Opposition of either House of Parliament will only be part of a committee which will nominate the two eminent persons to the JAC. Both the Bills are explained by a detailed Statement of Objects and Reasons, narrating the Supreme Court pronouncements on the collegium system of appointments and relevant Constitutional provisions. To enable introduction of the JAC in place of the present collegium, amendments are being made to article 124, bringing new Articles viz., 124 A, 217, 222 and 231 of the Constitution of India. The curious part of the amendment is the new Article 124 A(1) (2) by which there can be recommendations even for appointment of Chief Justice of India. An interpretation of the said article would empower the JAC to recommend the names even for Chief Justice India, departing from the customary practice of appointing senior most judge of the Supreme Court as Chief Justice. Irrespective of nature of constitution of the new collegium, what is more relevant is to do away with the secrecy of appointment procedure. As per the new proposed system, JAC shall formulate procedure for appointment. There should be a proper and transparent procedure to weed out undesirable candidates while shortlisting. The judges appointment is the most secretive system of appointment in the country and the names are revealed only after the recommendation by the collegium. There is no proper background check about the candidates, their social outlook, financial transactions while being a lawyer, acquisition of assets, and many other indicators which can suggest the integrity of the candidate(s). Although there is a system of collecting intelligence inputs through the IB, but that too is shrouded in secrecy. Interestingly, the Bar Council of India has demanded that the Bill be dropped as it is being implemented “hastily” and will also compromise the independence of judiciary. “We do not say existing collegium does not have demerits. It does require improvement. But inserting outsiders in the form of executive would be disastrous for the country and the ordinary litigants,” the Chairman of Bar Council of India has reportedly said.